This year’s festive season is going to be highly promising, and not only because of the gifts and surprises we are to receive from our loved ones. Online gambling platforms are also working on some new promotions to boost your spirit during the holiday season 2014. Mr. Green, a trusted online website that offers hundreds of exciting games and generous rewards, is paying its particular attention to this year’s Christmas celebration. Starting November 25th, 2014, and for the next 30 days to come, Mr. Green online casino will be generously rewarding its clients with showers of free additional spins, numerous cash prizes and even more tangible rewards. Twenty of the luckiest contestants, who choose to take part in this year holiday competition, have a chance of winning THE gadget of the year – the iPhone 6! The contest for the main prizes will happen by the end of the promotion season – that is, before December, 24th, 2014. So, 20 of the luckiest gamblers will have a chance to get a truly amazing holiday gift! As for additional spin rounds, they will be granted daily. A month of free spins and bounds rounds in your favorite games seems like fun to us! Moreover, €36,000 is available in cash, and these monetary rewards will be given away randomly every week. To become eligible for the Christmas giveaway, you simply have to make at least one minimal deposit of €10. Further on, you can increase your initial deposit up to 20 times! After that – everything depends on your luck! Several countries will take part in the holiday festive season. 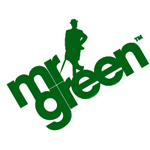 Mr. Green welcomes users from the UK and Northern Ireland, Poland, Czech Republic, Austria, Germany, Sweden, Norway, Finland, and the Netherlands. Gamblers from the UK, Norway, Sweden, and Finland will even see notification about this contest on their TVs!